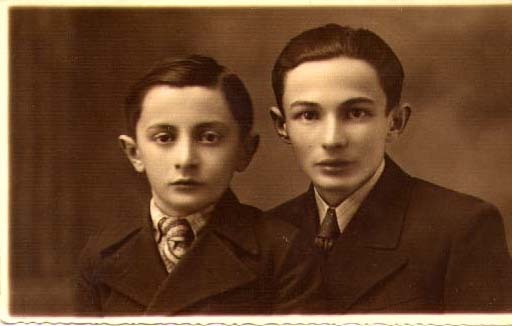 My father, Arnold Distler, was born in Boryslaw, Poland in 1922. He survived the War by escaping from a German Forced Labour Camp and hiding in an underground bunker that he and his friends constructed in the forest. 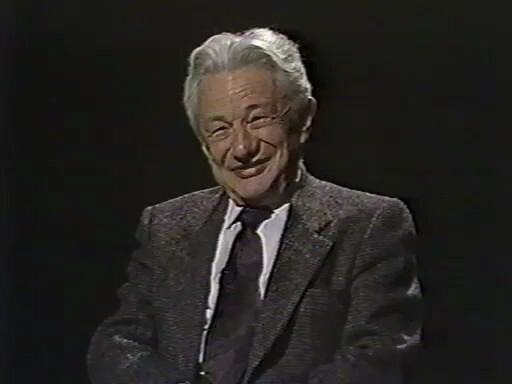 He rarely spoke of his experiences during the War, but in 1993, he did consent to do this interview as part of the Living Testimonies project at McGill University. It's a remarkable story — remarkable enough that it ought to be available to the world (or, at least, to those parts of the world with an fast internet connection). The video is indexed, and you can skip to a particular section from the chapter menu (which initially looks like ). The sections correspond, roughly, to the chronology, below. If you have trouble playing the video, click here. Below, you'll also find my father's architectural drawings, detailing the contruction of the bunkers. They are discussed at the end of the video. There's much more information about Boryslaw and its environs, both before and during the War, at this website. After the War, my father resumed his University studies, obtaining a Masters Degree in Engineering from Breslau Polytechnic in 1950. As soon as he passed his exams, he hopped a train to Vienna, escaping from Poland just as the Iron Curtain was falling. He spent a couple of years working as an engineer for the חברת חשמל (Electrical Utility) in Haifa, before finally moving to Canada in 1952.